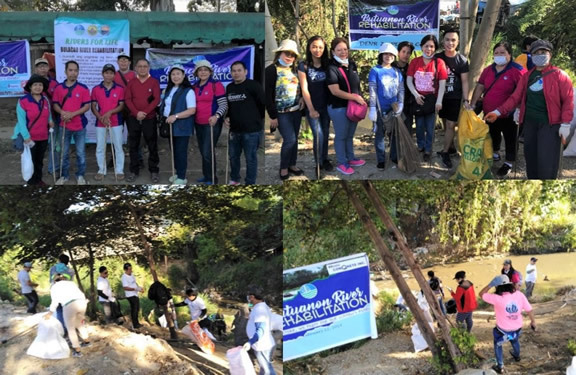 Technical and support staff of CRERDEC led by Center Head Alicia Lustica participate in the river clean up at Pardo, Cebu (top left photo) and in Mandaue City, Cebu (top right photo). MOA signing during the launching of the Adopt a RIVER for LIFE’ last February 28, 2019 in Tagbilaran City, Bohol. The Department of Environment and Natural Resources (DENR) in Region 7 officially launched the “Rivers for Life Program” through a simultaneous massive river clean-up drive in Cebu, Bohol, Negros Oriental, and Siquijor last February 22, 2019. Various private establishments, students, other government agencies, police officers, and soldiers in Cebu convened at the Butuanon River View Deck, Ibabao Estancia in Mandaue City for the kick-off ceremony before proceeding to their designated stations to clean up the pollution-challenged Butuanon River. Another group in Northern Cebu also participated in the clean-up activity held at the Luyang River in Carmen. Technical and support staff of the Coastal Resources and Ecotourism Research, Development and Extension Center (CRERDEC) led by Center Head, Dr. Alicia Lustica turned out in full force during the clean-up to support DENR’s goal in restoring and rehabilitating the country’s rivers. Venturing into the river made participants realize the extent of destruction. DENR Secretary Roy Cimatu during the International River Summit held last November 2018 in Cebu City made a commitment and challenged DENR officials to spearhead the cleaning up of rivers in the country. He likewise encouraged business establishments, other government agencies, private institutions, and the entire nation to support the ‘River for Life’ program, one of his top priorities to effectively address and implement the Clean Water and the Ecological Solid Waste Management Act. Referred to as ‘Recognizing Individuals/Institutions towards Vibrant and Enhanced Rivers,’ the program hopes to give life through raising awareness on the need to protect and save rivers in the country from pollution and other threats. The clean-up drive continued the following day, February 23, 2019 in Bulacao River, Cebu City. The simultaneous river clean up targets 10 priority rivers in the region: three rivers in Cebu, Bohol, Negros Oriental, and one in Siquijor. The celebration continued in Bohol with the ‘Launching of the Adopt a RIVER for LIFE’ last February 28, 2019 at the Metro Centre Hotel and Convention Center in Tagbilaran City, Bohol. 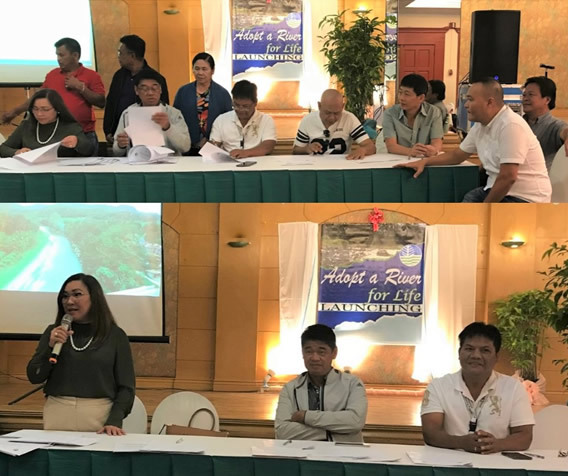 Highlight of the activity was the inking of a Memorandum of Agreement (MOA) between DENR 7 and the Abatan River Development Management Council and 10 private partners for the clean-up and sustainable management of river. Dr. Lustica witnessed the activity led by DENR 7 Regional Executive Director Gilbert Gonzales and Dr. Glen Doloritos representing Bohol Governor Edgardo Chatto. Representatives of partner national government agencies, AFP, PNP, PIA, and the BISU Main Campus also showed their support and attended the launching. Mayor Maria Puresa Chatto of Balilihan, Bohol also shares her message of support and commitment. The Bohol river cleanup was a resounding success as more than 10,000 stakeholders joined in when expected to participate were only about 2,500, according to DENR Provincial Environment and Natural Resources Officer (PENRO) Charlie Fabre. RED Gozales in his message urged all communities and various sectors in Bohol to go all-out and be pro-active in this extensive river cleanup campaign. He called for a massive information, education and communication campaign in order to gain public support for the cleanup efforts. 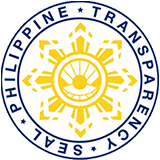 He further encouraged the local government units (LGUs) to focus on implementing proper waste disposal by taking a collective stand against irresponsible dumping of trash. According to Director Gonzales, LGUs should be in the forefront institutionalizing measures to guide the community and their way of life.